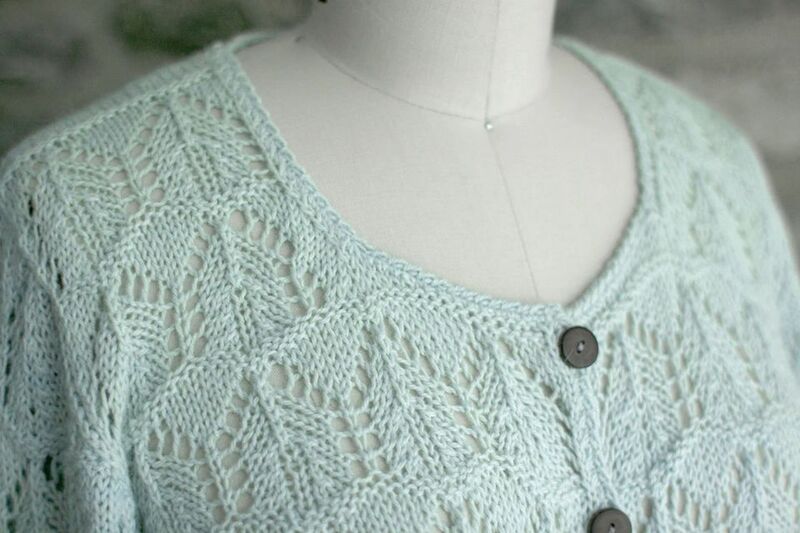 Knitting lace might sound intimidating if you're new to knitting, but it doesn't have to be! Lace knitting patterns can be as simple as a few added yarn overs or as complicated as an intricate design with slipped stitches and cables. No matter your knitting level, you can add lace knitting to your repertoire with these 13 patterns ranging from hats and shawls to sweaters and socks. When you only want a little bit of lace, try this short-sleeved sweater from designer Justyna Lorkowska. 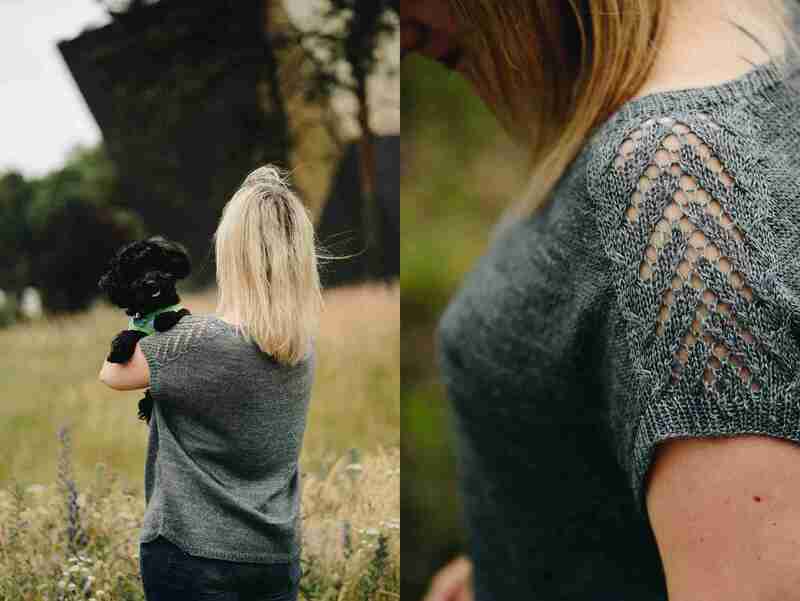 Most of the sweater is stockinette stitch, but the sleeves feature a simple, yet striking lace arrow design. Wear some lace on your feet with these gorgeous socks that combine lace and cable knitting. If you're familiar with sock knitting, you can knit this top-down footwear in a week or two, so it's even a fast project. Making a lace-embellished pullover is a good thing, but when the pattern itself does some good in the world, it's even better. Joji Locatelli created this pattern as a way to raise funds for a community kindergarten in Argentina. Be sure to look through her Ravelry shop for more lace patterns and even more knitting patterns of all kinds. Sonja Bargielowska designed the particularly stunning Op Art Shawl for Blacker Yarns. The design uses the old shale lace pattern to create a look that's anything but "old" and you can choose to use either two or four colors of yarn. Lace knitting often shows up in baby patterns and this onesie is a sweet example. The lace design is on both the front and back of the bodice, which unbuttons down the side and at the bottom for easy-on-and-off knitwear for your little one. This full-lace cardigan takes commitment, but it's worth it. Designed for the makers of Manos del Uruguay yarn, the Granita Sweater pattern also includes a pattern for a matching cowl. If you love the lace design on one, you'll love it on the other too! One of the great parts about knit shawls is that you can wear them several ways. This lace knitting pattern by Jeanette Sloan demonstrates that, while also showing that lace can be bold. modern, and perfect for everyday wear. What do you get when you combine lace, cables, and seed stitch? A highly textured knit blanket that you want to wrap around you for a cozy day. The pattern for the Umaro blanket includes instructions for working in DK, worsted, and bulky yarn, as well as different sizes, so you can create blankets with very different weights. Knit this spring cardigan for a perfect piece to add over a dress. It uses a lacy ribbing stitch that creates a great visual interest and the intermediate-level pattern includes a large range of sizes for kids and adults. Baby blankets don't need to be pastels, as you can see in the Lovequist Baby Blanket. Tanis Gray chose a retro color palette for this stroller-size blanket, which also uses a retro lace knitting stitch to form the scallops. It's such a lovely design, you may want to enlarge it and make one for yourself! The Blossom Dance Scarf is a great way to wrap yourself in lace. Rather than featuring one section of a lace design, this free pattern has an all-over lace fabric. The blossom stitch that creates the lace may be new to you, but there's a video that makes it easy to learn. Vanessa Smith offers many beautiful lace knitting patterns so it's difficult to choose just one to highlight. The Kaliope Shawl, in both chart and written format, includes two options for the lace edge. Plus you can add more repeats to create this hexagonal design in a larger size! You and your little one can match with this precious lace beanie pattern. The charted pattern comes in six sizes from toddler to adult. And if you want something for someone smaller, there's also a matching infant-sized hat with earflaps and ties!